The Relatively Public Life of Jules Browde, by his grandson, Daniel Browde. In all regards, a masterpiece. I must admit, I am not proud of how long it took me to get started on the blog again. Life happened. We changed jobs. We moved to a new house. We got our local contracts. Getting things sorted in our private and professional lives seemed far more important than taking time to ponder over our experience in South Africa. Now that I think of it, it also meant that we had settled in. And this was actually quite a nice feeling. I also reckon that the blog was a vector forcing us to dig into this big messy thing that is the city of Johannesburg. It drove me to places I would have never visited otherwise, it made me befriend with people that would have remained unknown to me. It enlarged my comfort zone. I kind of missed that. 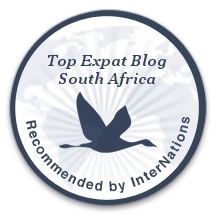 Fortunately, there are many great blogs about Johannesburg. So why bother? Was there anything left to share that was not known yet? Since we are all targeting the same audience, what was the point of keeping repeating the same thing over and over again? Let the other bloggers do the dirty work, it was much easier this way. Such were my thoughts when I started reading “The Relatively Public Life of Jules Browde” by Daniel Browde. And everything changed. The book was a revelation; the urge to share a few words about something that I genuinely loved and cared about came rushing back. In his book, Daniel depicts, through a series of stories and anecdotes, the life of grandfather, Jules Browde, a brilliant South African advocate and human-rights activist, Mandela’s classmate and Edwin Cameron’s mentor. Every chapter is intertwined with the story of his own struggle to write a book that rises up to the legend of his grandfather. Or, as it soon will turn out, that at least does not tarnish it. Labelling Daniel’s book a biography would be a deep misconception. Both Daniel and Jules’ stories only give hints and flavors of what the life of the grand patriarch was. But paradoxically, Daniel’s failed attempt to write his grandfather´s biography gives rise to one of the greatest literary accomplishments I have come across in years. It is filled with a deep sense of love and understanding, written in a beautifully intriguing prose, that paints characters who will stay in your heart for long and that will soon lead you to some introspection of your own. This is where Daniel masters his first biggest narrative trick: through his humble and delicate style, he enables the reader to rethink about his/her family, and realize that, as far as their destiny might be from the ones of the Browde’s giants, their lives are filled with stories worth listening to, and worth retelling. The narrative process works so well that it creates a solid emotional bond between the reader and Daniel’s book. Little by little, we start caring for the whole Browde clan as if it was our own. And that is where the second trick starts kicking in: in the same fashion that Daniel found the energy to write a book that does not demerit his grandfather’s fame, it gives us the strength to accomplish some of our deepest aspirations, to start believing again that anything is possible and that under the kind looks of our ancestors, we can accomplish the greatest things. So thanks Daniel for sharing in such a beautiful manner the story of your family. It will live in our hearts forever, along the ones of our own kin.